The sudden release of both 3rd&4th singles! The new concept “Miserably, torn up and proud” appears in both releases. “Depasu” shows the “Misery” that is so characteristic of Shellmy. “A-kata Girlfriend” imagines the silence of loneliness. 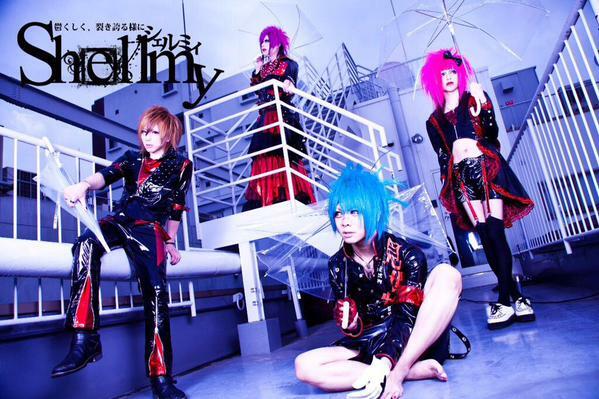 With the restart of Shellmy at the end of July, there was the announcement of a second, nation-wide release. But, with the typical Shellmy approach of giving their all until the very end, every song carries the concept “Cynical Chemical Rock”. Otona no Jijou Furitsuke Demonstration! Royal Milk Cream with Hyomero? !